There seems to have been a lot of birthdays recently, so I have been busy making cards. Some of the cards were from my stash but most of the others I made but managed to forget to take a picture. Clever me! My sisters birthday was last week and I did managed to take a photo of her card and I will post that one soon. This is one of the many cards I have made recently. 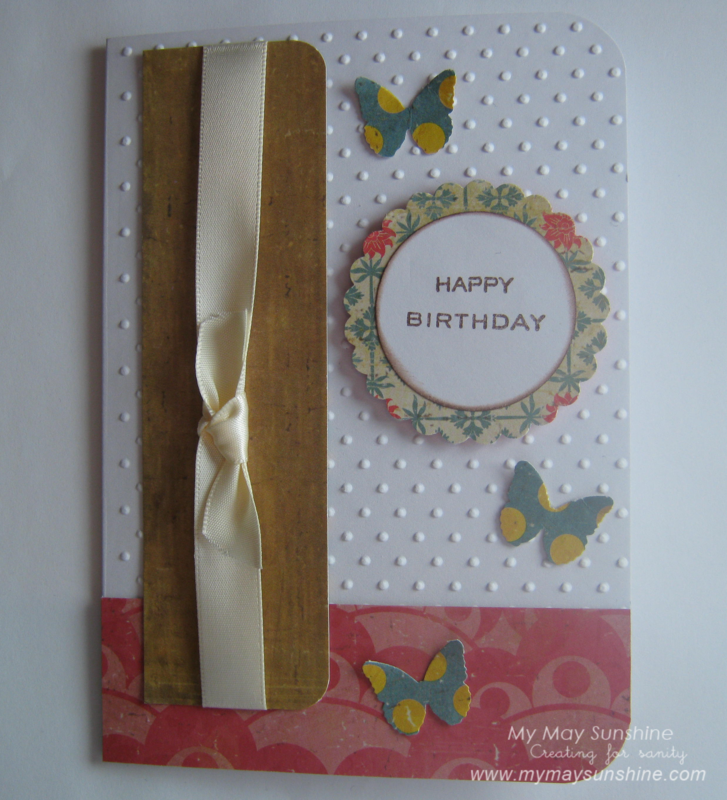 The background on this card is made using the Swiss Dots Embossing folder, I think it makes the plain card stand out. The papers are from Crate Papers Restoration collection, the butterflies are Martha Stewart and the stamp is from Personal Impressions. Previous Post Happy Birthday Hollie. Next Post A card for my sister.